The fire station in Emmen moved to new premises, designed by BDG Architects, on the Nijbracht last year. When designing a fire station the logistic design is important. Fire engines come and go. In the event of a fire, every second counts. With this in mind, BDG Architects designed an efficient and compact T-shaped building, which ensures optimal performance in terms of logistics. The appliance bay for the vehicles is located in the head, while the vertical leg of the T houses a number of workshops. Under the offices and staff facilities for the 24-hour shifts on the first floor, the appliance bay occupies a central position on the street side of the ground floor with direct access to the surrounding road network. The outer walls of the station consist of mint-green concrete elements that create a beautiful contrast with the fire engine red panelling of the training facility. This bright red colour has also been used throughout the interior, which gives the building a bold and striking appearance. 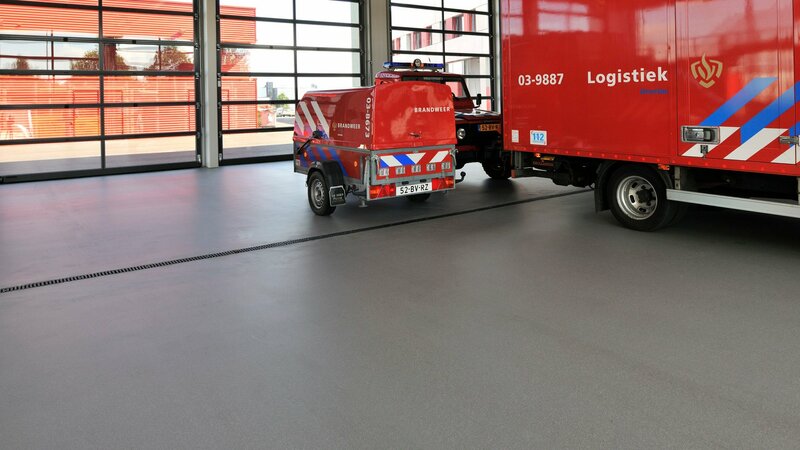 The requirements of the Emmen Fire Station for the flooring included that it would have a seamless, liquid-tight and non slip surface. 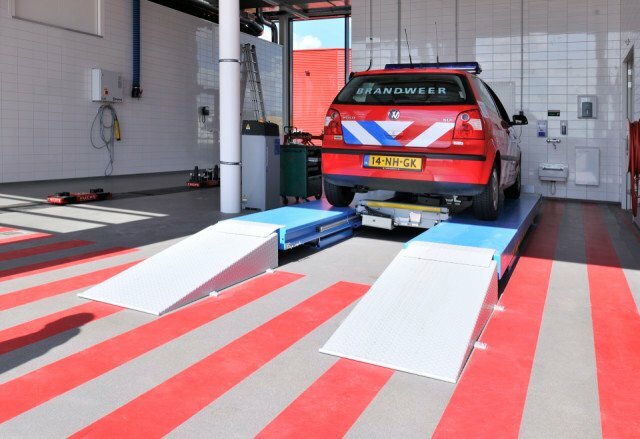 The floor has to be able to withstand chemical substances. Tools falling on the floor and high mechanical loads should not lead to any problems. 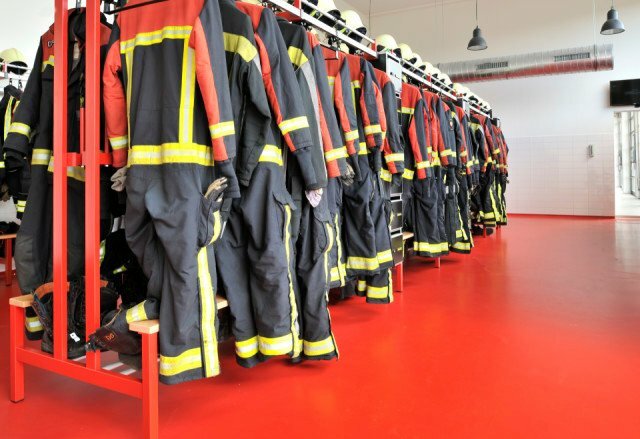 Because the Bolidtop® flooring systems more than meet these requirements and are available in exactly the same fire engine red colour that was used in the rest of the interior, the Emmen fire brigade made a conscious choice for Bolidt. 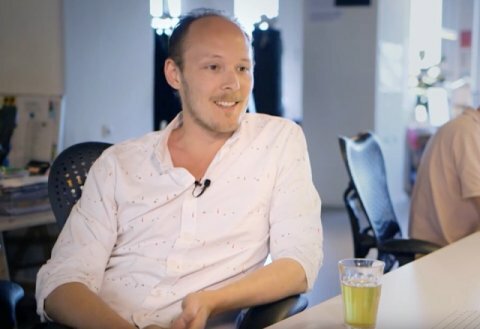 The client was advised and assisted in their decision-making by BDG Architects, who provided the fire stations of Leeuwarden and Weert, both designed by them as well, with Bolidt flooring at the same time as the Emmen one. 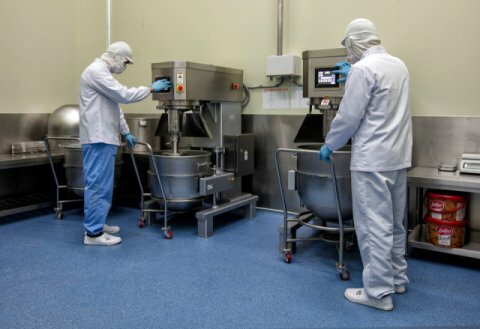 In spaces such as the workshops, cleaning areas for hoses and respiratory equipment, the training facility and appliance bay, Bolidt has installed Bolidtop® 700 flooring. 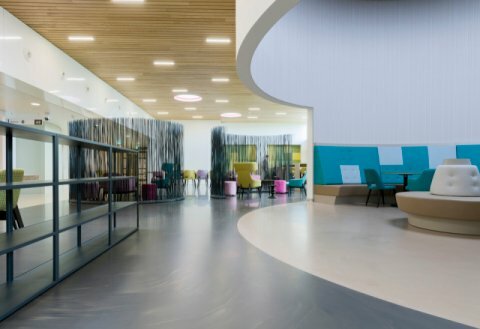 This robust and aesthetically pleasing flooring system is characterised by its high wear and impact resistance. 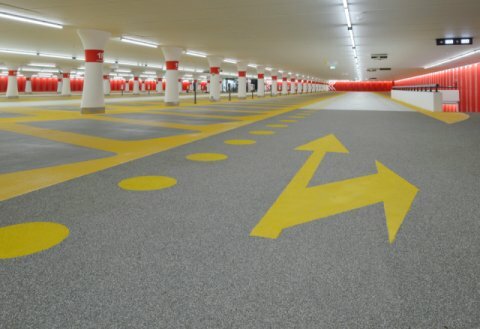 The mechanically compacted floor has a terrazzo look and can withstand very heavy loads. 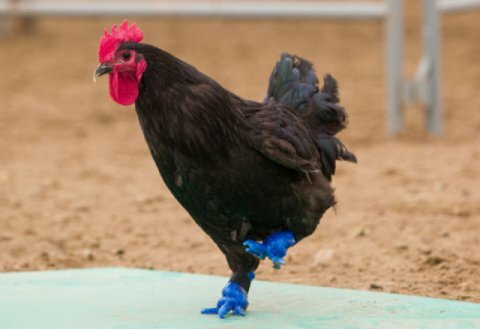 Its slightly slip resistant surface contributes to a safe working environment. 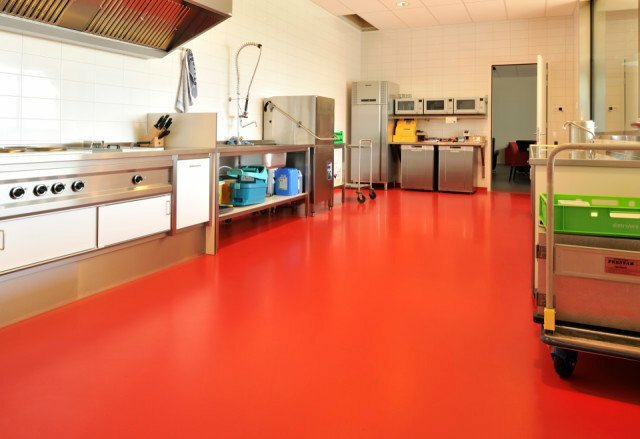 On the first floor, the offices and staff facilities have been fitted with Bolidtop® 525 flooring in fire engine red, a colour that prompts to action on every ground. 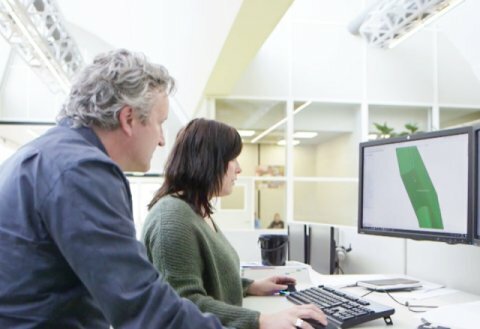 The design of the fire station is not just aesthetically well thought-out, but also scored 8 out of 10 on the Dutch GPR sustainability index. One of the most important sustainable elements is the reduction in energy loss due to the high insulation values of the roof and façades. 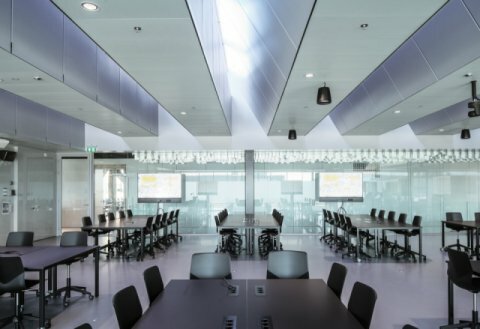 The indoor spaces feature a so-called low temperature system, achieving an energy-efficient, sustainable value in part by installing underfloor heating under the Bolidtop® systems. 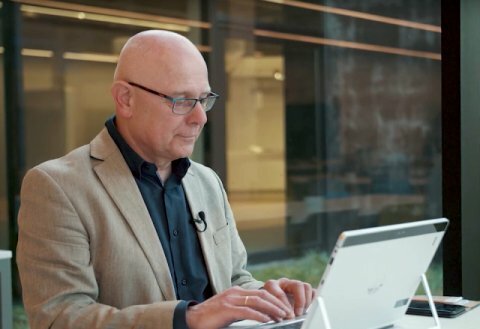 The result is an extremely durable, active and smart environment, both logistically and structurally, in which every space is used to its best potential.